Whether your are an emerging franchise brand or a large, established multi-brand concept, one truth remains the same – maintaining excellent records helps you rest easy. 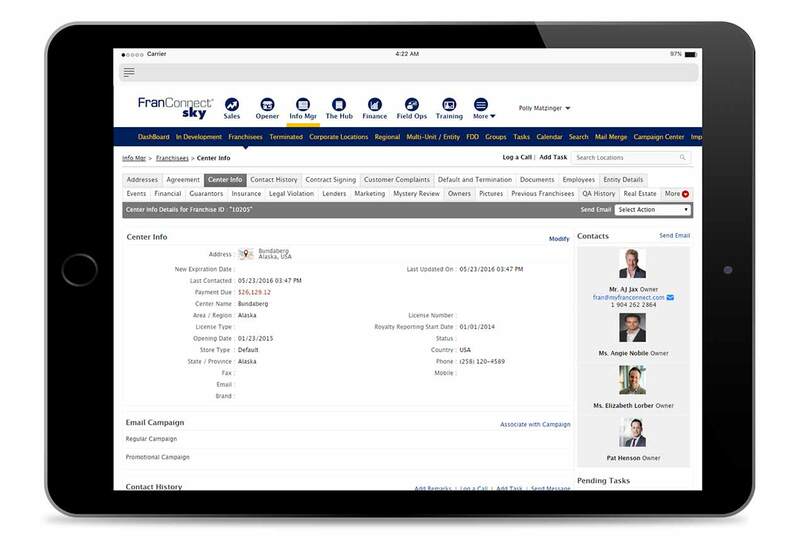 From contract information to financial details, the tremendous challenge you face in effectively managing information across your franchise system cannot be overstated. 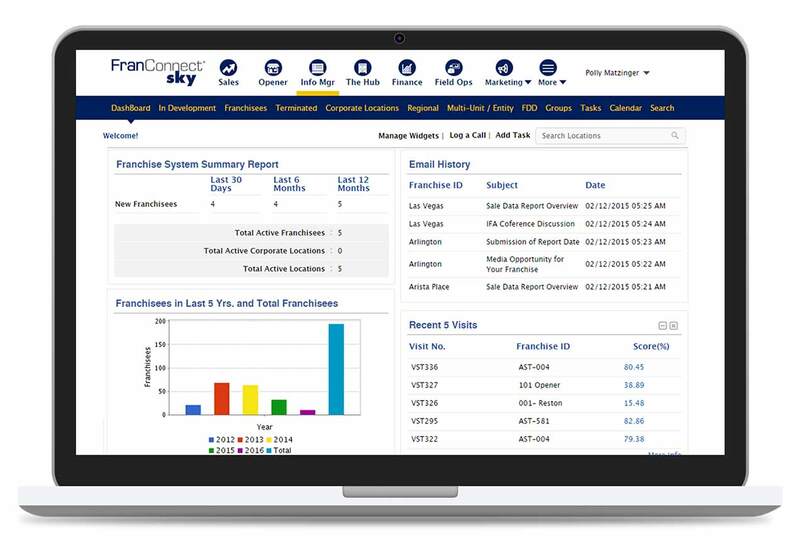 With FranConnect Sky Info Manager, you will create a level of organization and visibility into your franchise organization that will set your brand apart.